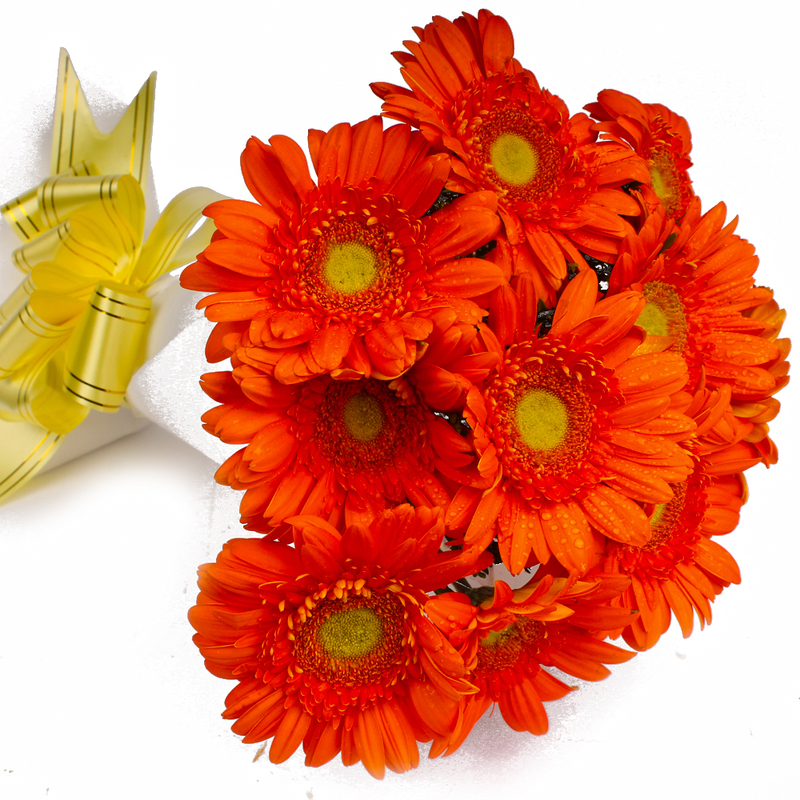 Product Consist : Ten Orange Color Gerberas with green fillers in Tissue Wrapping with Ribbon Bow on it. 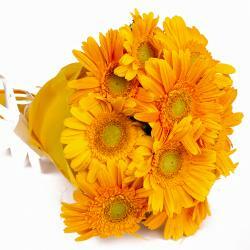 You can express your wordless emotions on this Special Day with this Orange Gerberas Flower gift. 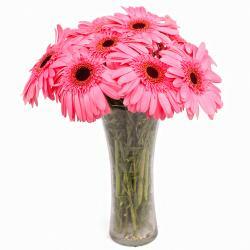 This gift item is a bunch of Gerberas which are associated with appreciation and gratitude. 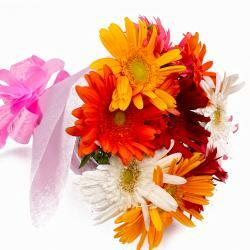 This bunch of Ten Orange Gerberas is tied in tissue paper with matching ribbon bow which make it look more beautiful. 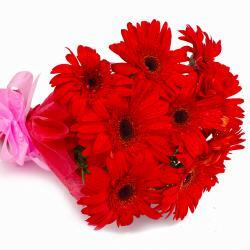 You can gift this bright orange gerberas to your special someone on this Valentines Day if you want to repair some sticky patches between you two. Even you can also send on Birthday, Anniversary, Congratulations, Karwa Chauth or other special occasion of love. 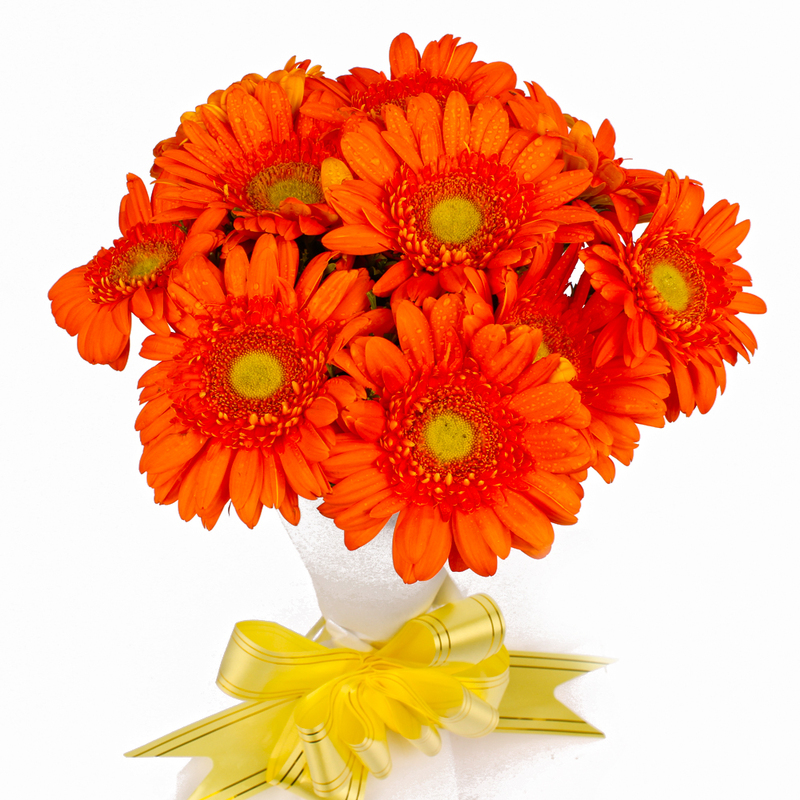 Product contains : Ten Stem Orange Color Gerberas with green fillers in Tissue Wrapping with Ribbon Bow on it.